Personal contact: maxx.canevacci@gmail.com. IEA's support: Sandra Sedini. E-mail: sedini@usp.br. Phone: + 55 (11) 3091.1678. 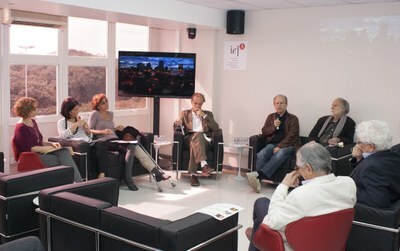 Canevacci is professor of Cultural Anthropology and of Art and Digital Cultures at Università degli Studi di Roma La Sapienza, Italy. His research focuses on the areas of ethnography, visual communication, art, and digital culture. He has previously been in Brazil as a visiting professor to the State University of Rio de Janeiro (UERJ) and the Federal University of Santa Catarina (UFSC). 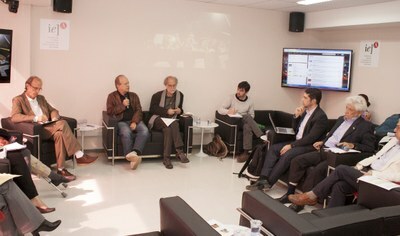 During the 12 months he will remain at the IEA, Canevacci will develop studies in the intersection of four major conceptual frameworks: self-representation, linked to decentered ethnographic methods; ubiquity, grounded on the idea of a flexible polycentrism replacing the notion of a single, politically-defined historic center; visual fetishism, related to disruption of classical dualism; and critical and experimental theory based on current new readings of the work of Theodor Adorno. In the first half of 2013, his work will be focused on theoretical development and, in the second, on the empirical research. The activities planned for this period include seminars, participation in international conferences, launches of books he has authored and a seven-week course. Canevacci's participation in the debate What's Happening?